With just a few weeks left until Christmas, we're all scrambling to find that perfect gift for our friends, families, coworkers, mailman, etc. The best gifts are, of course, the ones that are the most personal and show the recipient that you really took the time and put a little thought into it. So, what can make a personalized gift even better? Choose a gift that is hand-made and unique, just like your loved one! We'll leave it to you to get creative but, just in case you're stressing, here are a few random ideas that put a unique spin on the personalized or monogrammed gift item. Everyone loves some sort of hot beverage in the winter time, be it coffee, tea, or hot chocolate. So, personalized mugs are a safe gift choice. Now, we're not talking about any old "Mom", "Dad", or "Grandpa" kind of mug. We're thinking of something a little more unique, like this one by bailydoesntbark. 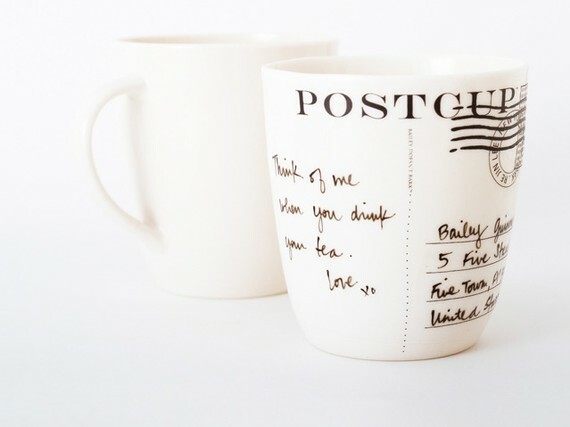 This mug is super sentimental and allows you to hand write your own message on it and then bake it into the mug permanently for years of enjoyment. Being an urban cowgirl was never so tempting! 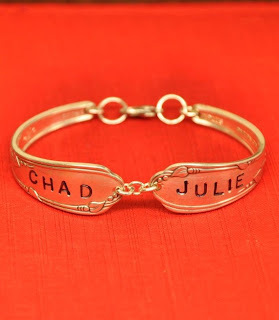 We love this one of a kind bracelet so much that Jen recently purchased it as a gift for a friend. 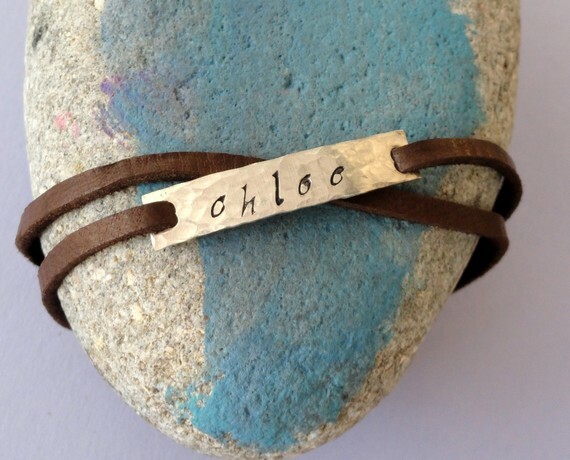 It's modern, industrial hammered metal is complimented perfectly by a rustic leather band and custom hand stamped letters. Have a musician in your life? Do they march to the beat of their own drum? If so, these personalized drum sticks would be the perfect gift option for any little drummer boy (or girl!). Tell your sweetie not to go to Jared this year and to consider getting you something a little more unique. Sure, this handmade spoon bracelet doesn't have diamonds or gemstones, but it certainly has history and charm, which is definitely something we romantics can appreciate. Looking for the perfect gift for any puzzle or word lover? 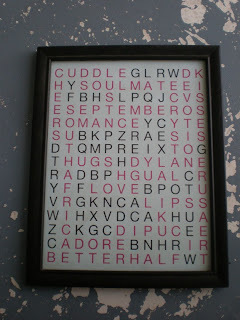 This customized word find would be a great gift for a friend or loved one. Personalize it with names, important places, inside jokes, etc. so they can hang in on the wall and always be reminded of how much you care. Does your mom/sister/girlfriend/wife/babysitter/etc.etc. love snow? Why not get her a beautiful personalized snowflake pendant. 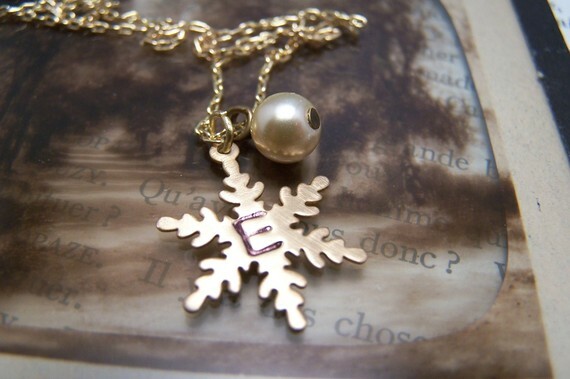 Snowflake necklaces have become increasingly popular, but we're willing to bet none of the ladies in your life have one quite as unique as this one! 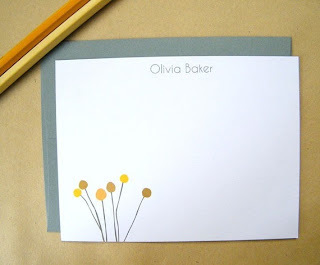 Pretty stationary is always a good thing to have around and the prettiest and most impressive is the kind that's personalized. Can't think of something to get for that coworker you happened to get for secret santa? No worries! 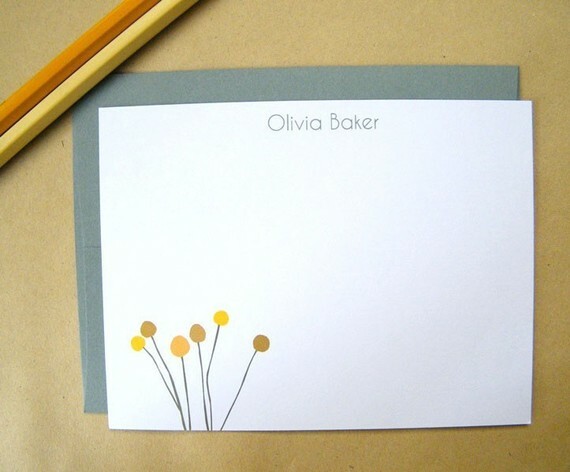 Cute stationary like this is an easy solution for any professional person or really anyone who appreciates good old fashioned snail mail. 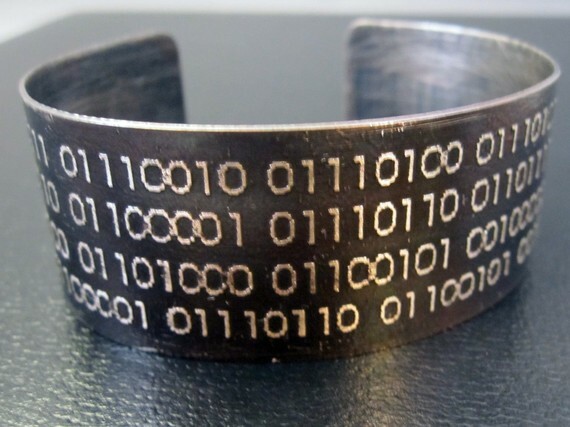 We just 011011000110111101110110011001010000110100001010 (we hope that says "love") this great etched, sterling silver binary code bracelet! Have a name, quote, or secret message encoded in this bracelet for your loved one as a fun little surprise. Even funnier -- don't tell them what it says and let them figure it out for themselves! Who would we be if we didn't support our friends and local artists? Get Yard Sale Press's Letter Tile Coasters to represent names, words, jokes, etc. and you're sure to score major points with your favorite word sleuth or board game lover. Send Bryan an email if you're interested in placing an order. AND, be sure to keep commenting because we're happy to say we have a set of these babies to give away during our 12 Days of Christmas! i bought a set of scrabble tiles for my grandma for christmas. i can't wait to give them to her! my favorite gift i've bought this season! i love the spoon bracelet! and the word find! 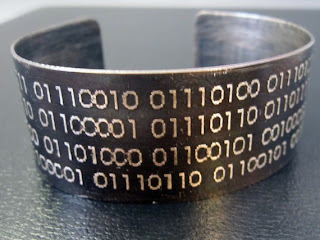 and the coasters and the binary code bracelet! Nice post, all these gifts are really thoughtful and personal but not too pricey. I especially like the idea of personalized stationery, and of course the Scrabble coasters. My sister wants me to make her a bracelet for Christmas that has her and her husbands name on it. What tool did you use for carving the names? Any tips on making them?